My job at wemakeit is about project consulting. wemakeit is the biggest crowdfunding platform in Switzerland, and the only one to speak four languages. Everyday I explain to project initiators how they could improve their project page, and why they should do so. Crowdfunding isn’t only about raising money from people who believe in your ideas with easy online payment methods and within a time limit, but it is also – and just as much – a great communication tool. Without exception, preparation always takes more time than expected, but it is worth it. A personal video, attractive pictures with captions, text description according to your storytelling concept, unique rewards, links to other website references and a genuine profile presentation of yourself, make all the difference. After learning this, I shared it with the numerous project initiators, beginning their online crowd experience on wemakeit. I very soon found that I couldn’t just give tips, and not try them out myself! As well as my full-time job with wemakeit, I have my own creative projects which mean a lot to me. 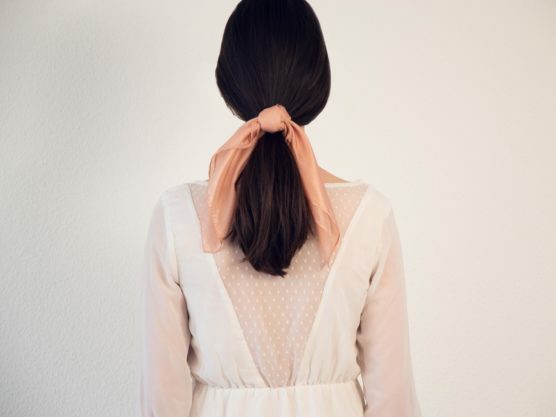 I graduated as a designer at the Zurich University of the Arts with a project about natural dyes for textiles, and it was clear to me when I started the crowdfunding job, that I would simultaneously be continuing on this sustainable project. Combining my communication skills for my creative projects totally makes sense. Indeed, good design needs a good marketing friend. Make Local Colours move forward: I was naturally inspired to launch my own campaign for my project which transforms recycled vegetable and fruit peelings from the regional food industry into textile dyes. Some months back, I was mostly looking for industrial partners to support a scientific research with Swiss universities. At that point it was therefore more based on the research than the actual dyeing production. I knew very well that a crowdfunding experience would be fantastic, but I wasn’t sure in which direction I should launch Local Colours’ campaign. The logical decision in order to share my work with the crowd, was to create and sell my dyed products to see public response. I wanted to find new ideas and other product forms for my project. I got really inspired when working on the prototypes, their best colour matches, reward ideas, the video making and the styling of the visuals. My challenge consisted in presenting and selling Local Colours in the most persuasive way, while reminding people to think about where their clothes come from. The answer was clear to me: crowdfunding would be a great market test and idea presentation. 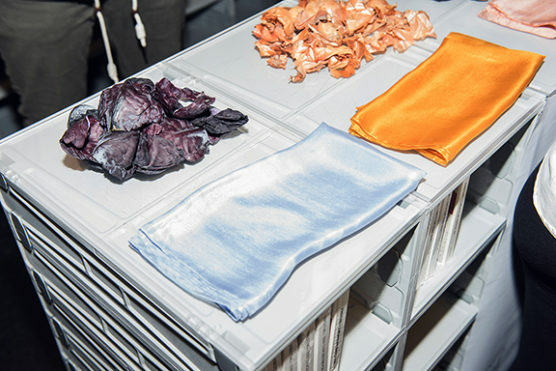 It would show the market potential and would allow a first production of naturally dyed textiles to happen. I would sell various dyed products with Local Colours on the campaign and the production would happen only if the campaign was successful. My first crowdfunding experience was an amazing one. I spent a lot of time in preparing personal emails and messages with animated images. Being active on Social Media and organising a precise communication plan helped a lot. The best communication allies are the digital native friends – and the best investors are your grand-parents or doctor uncles. The campaign showed me how many people encouraged my project, not only because some were my closest family and friends, but because backers actually admired the project and wanted it to go further. They wanted to be part of it, and they wanted to buy the special rewards. The unexpected thing was that most people wrote back to me asking questions about the origin of the idea – how ever did I think of boiling old peelings up and trying them out on pieces of fabric? What does the process look like? What are the real ecological issues? That was a satisfying development, because it underlined a generally very positive and curious feedback and raised other further questions I hadn’t thought of. In the end, out of 190% of the financial goal reached, lots of the backers were actually unknown people, who had heard about the project whether through «wemakeit live at FREITAG» events, in wemakeit’s Newsletter, in articles in the media or on Social Media. In fact, the digital crowdfunding experience, in my case, became a live crowdfunding one. My ecological design project was selected by the Swiss FREITAG eco-design brand, in collaboration with wemakeit. 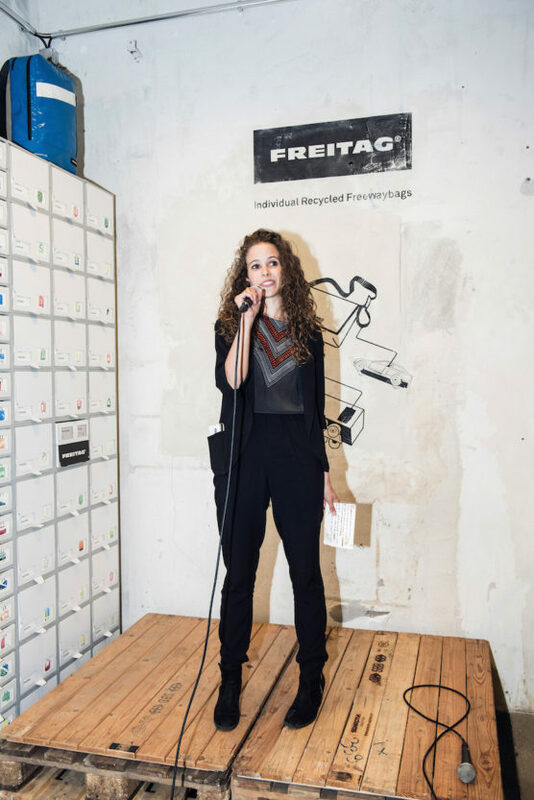 This partnership offered four selected crowdfunding projects, which were raising money through wemakeit, to present themselves during three live crowdfunding events in the FREITAG stores. I had the opportunity to talk about Local Colours’ concept, goals and issues. I was able to present my dyed silk squares and F-ABRIC shirts in Zurich and Lausanne to a live public. This enabled me to convince my Swiss-German network and to show my work professionally for the first time to my family and best friends in Swiss-Romandie, where I come from. 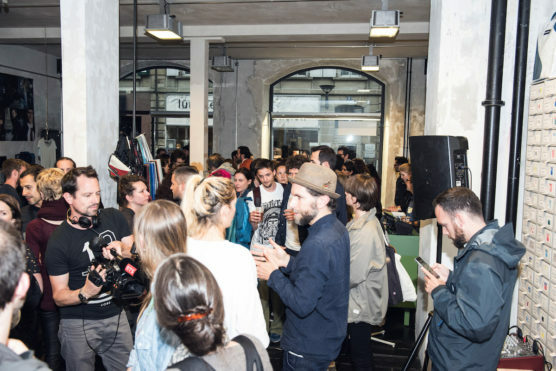 Events such as the «wemakeit live at FREITAG» and being on wemakeit’s platform gave a very important visibility to my project and the press reported several times about Local Colours through videos, articles or radio podcasts. Needless to add that different media interest increased Local Colours’ credibility. After the campaign, interactive rewards that I had offered during my campaign, gave me personal contact directly with the backers. For example, I organized a visit and an apéritif at «Alchemilla». This is the sheltered workshop specializing in natural dyes, in charge of the silk square production for Local Colours. A lovely retired woman backed my project, buying this activity. We met and spent an extremely interesting afternoon going round this amazing dyeing workshop, guided by its founder. 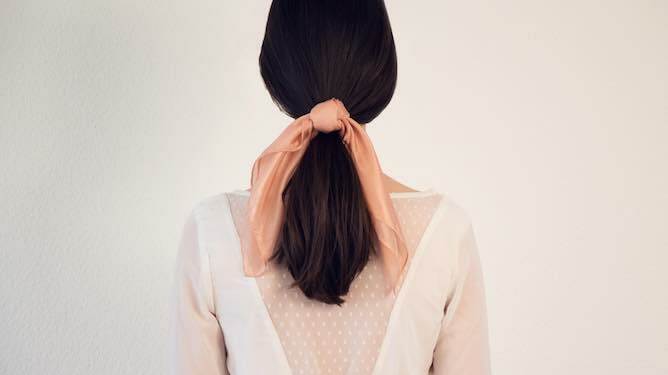 The backer and I learned a whole lot about the natural dyeing process and «Alchemilla» – she said she had wanted to visit this workshop for a long time and suddenly happened to see my campaign on wemakeit. Another backer I met was during a dyeing workshop I organised in my coworking space in Zurich as a another personal reward. This backer was a young energetic woman, extremely interested in start-ups and seeking new ideas with ecological initiatives. She has become another of my precious contacts today. Closer contacts with friends and family members have also been a satisfying by-product of crowdfunding. Thank you mom for being the first backer – crowdfunding experts were right –, or again friends helping to prepare rewards and their postage. All the more reason to believe crowdfunding is about digital becoming analog in a very human way. Published in Project of the Week.